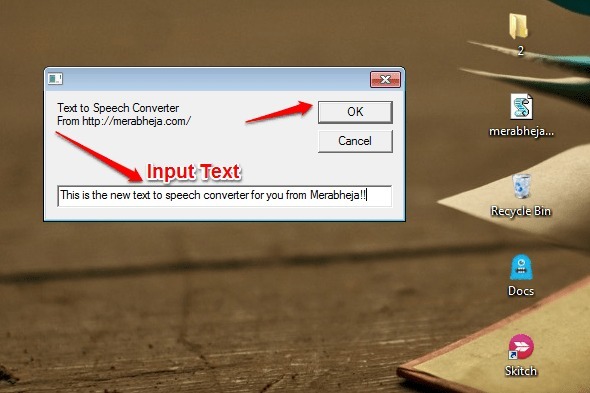 How To Create Your Own Text To Speech Converter Using Notepad! 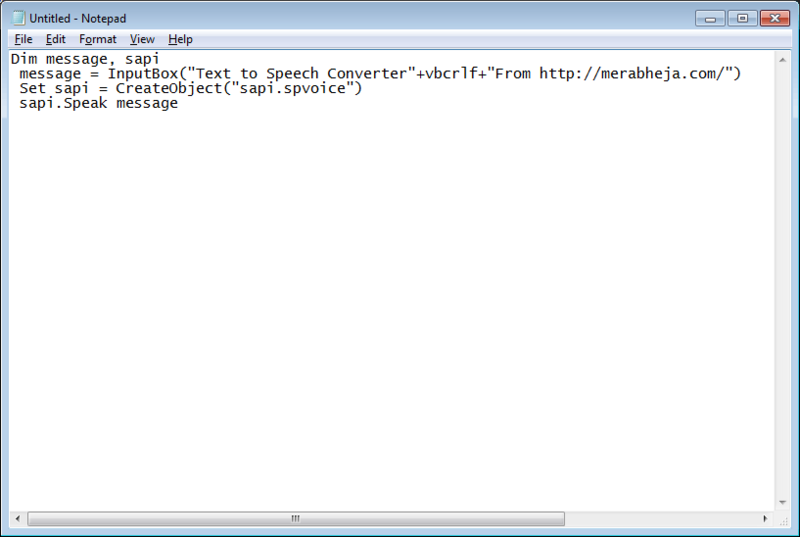 :- Want to amaze your friends by creating your own text to speech converter using nothing but Notepad? 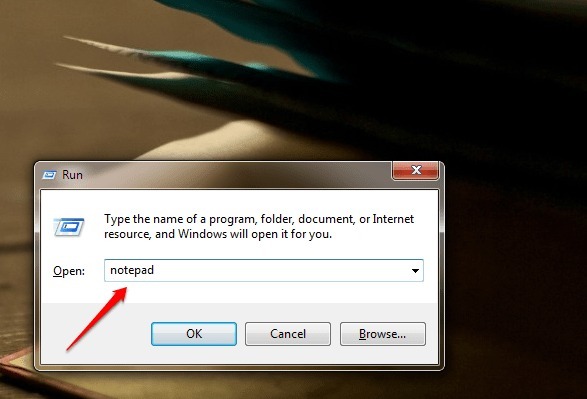 Notepad is the most common text editor that everyone is familiar with. If you can create a text to speech converter using nothing but Notepad, that sure is guaranteed to amaze your friends. Dig into the article to learn how to hack this simple trick. First of all, launch Notepad. For that,press WIN+R keys together to open the Run dialog box, type in Notepad and hit enter key. Alternatively, you can launch it by searching for it in the Windows Search. When the Notepad opens up, copy paste the following code. Hit the File tab and then on Save as option. 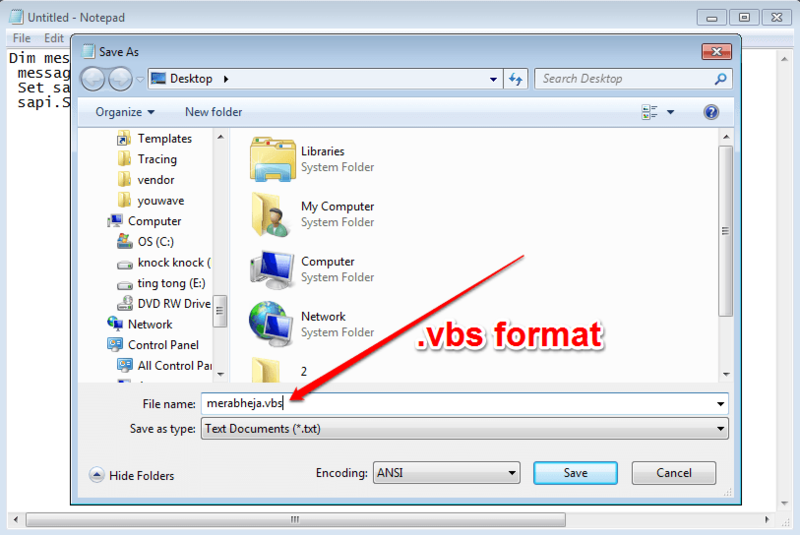 Save the file in .vbs format. I have saved the file as merabheja.vbs as shown in the screenshot given below. 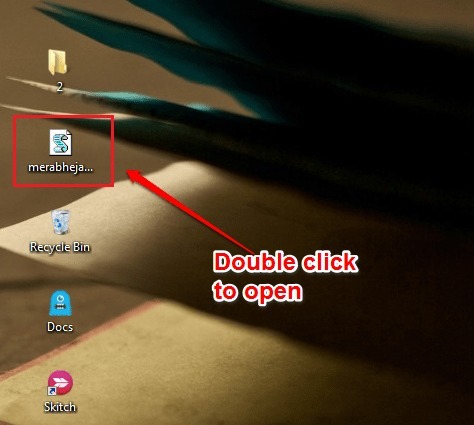 Navigate to the location where you have saved the file and double click on it to open it. There you are. Now you can type in the text that you want to be converted to speech in the input box. Hit OK button when you are done. Now you will be able to hear your computer reading out the text that you have entered. Hope you had fun checking out the article. Seems like you are so much into hacks and tricks. Why don’t you check out our article on the topic How To Secretly Hide Files Behind An Image? If you get stuck with any of the steps, feel free to tell us by leaving comments. We would be more than happy to help.